Philoxenia literally means being friends to strangers. Ms Eleni Savva, the owner of Aeolos Luxury Villas in Naxos has been wholeheartedly receiving guests since 1999. Upon arrival, she will welcome you in person and show you around the premisses. She will treat you to some strong Greek coffee, a homemade lemonade, orangeade or tart cherry juice; and then sit down with you to discuss your needs and ideas, so as to help you concoct the most delightful holiday plans. She’ll provide you with insider’s tips and information about the not to be missed-and the off the beaten track- sights, beaches, monuments, villages, events and panygiria; along with Naxos most comprehensive, up to date, travel guide. To start with, there is the signature Aeolos daily homemade breakfast, every morning luxuriously laid out at the gazebo amidst Aeolos verdant garden. Later on among the delights in store might be a fun afternoon session with raki and traditional meze; or a romantic candlelit dinner under the stars. One thing is for certain: When you leave you will too be part of the great Aeolos family and a stranger no more. “Eat like an Emperor” goes the sage, old adage about breakfast. Indeed at Aeolos Luxury Villas in Naxos, your days will start regally with an array of mouthwatering, homemade delicacies: Traditional pies, day eggs, local cheeses and cold cuts, homemade breads, jams, preserves and spreads-among others- lovingly prepared by Eleni herself; from locally sourced materials and ingredients from Aeolos’ own animal farm and vegetable garden. A not to be missed occasion -and that’s not to mention a very special treat- it’ll give you the opportunity to socialize with like minded guests -all part of the large Aeolos family- and provide you with the best start of your day. Ancient ruins, medieval castles, paradisiacal beaches with crystal clear waters and abundant water sports on offer. Hiking trails, exciting nightlife, lively beach bars and some of the world’s most delectable food and drink. Naxos has so much to offer and we are here to help you make the most out of your holiday. 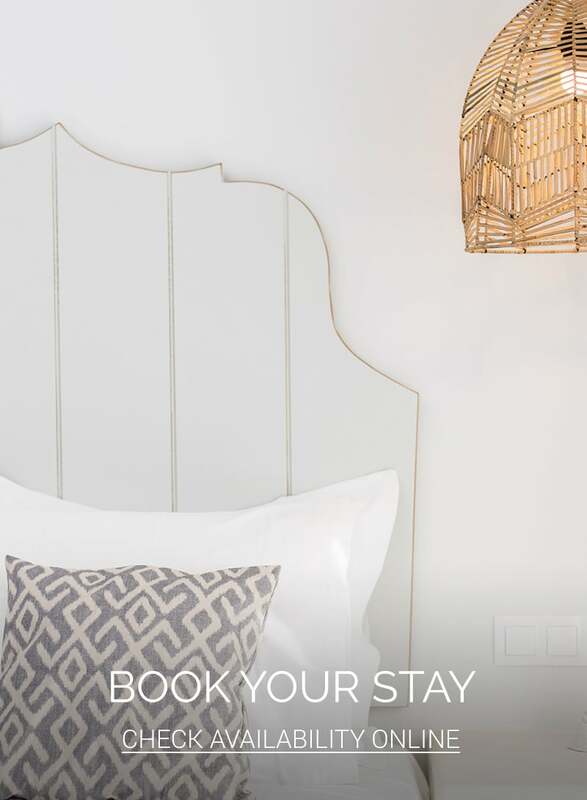 Rest and relaxation are of course an essential part; and with that in mind at Aeolos Luxury Villas & Suites in Naxos we proffer a host of up-to-the-minute, personalized services and facilities, to ensure that your stay is as enjoyable and as stress free as possible.